A festive and delicious way to celebrate a birthday! These are Birthday Cake flavored Oreos dipped in White and Dark Chocolate then decorated with rainbow sprinkles and edible Birthday Balloon decals. Happy Birthday! All Oreos are individually wrapped and packaged in a gift box. 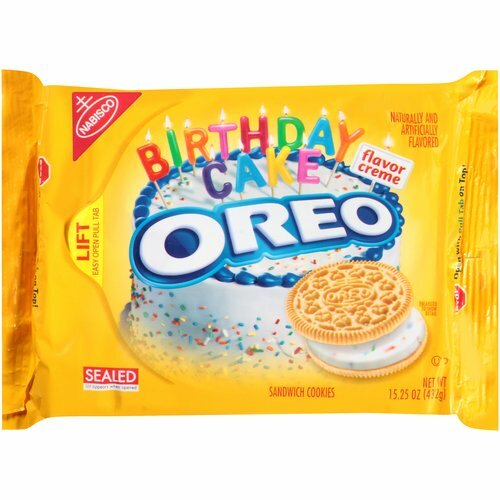 2 Oreos per 1/2 dozen have Happy Birthday Decals. An order of 1 dozen would have 4 Happy Birthday Decals. (2 Dozen: 8 Decals) and so on.